Ginkgo is a BDD Testing Framework for Golang. Gomega is Ginkgo's preferred matcher library. Agouti is an universal WebDriver client for Go. For acceptance or integration testing, it is best complemented by the Ginkgo BDD testing framework and Gomega matcher library, but it is designed to be both testing-framework- and matcher-library-agnostic. Much of this document is written with the assumption that you will be using Agouti for acceptance testing with both Ginkgo and Gomega. If you are unfamiliar with these libraries, consult their documentation first. See here and here. Note that the agouti package can be used by itself as a general-purpose WebDriver client for Go. We currently support PhantomJS 1.9.7+, Selenium WebDriver 2.44.0+, and ChromeDriver 2.13+. See this thread if you have issues running Selenium with Safari on Mac OS X. Any WebDriver conforming to the WebDriver Wire Protocol should (theoretically) work with Agouti, and can be configured using agouti.NewWebDriver. 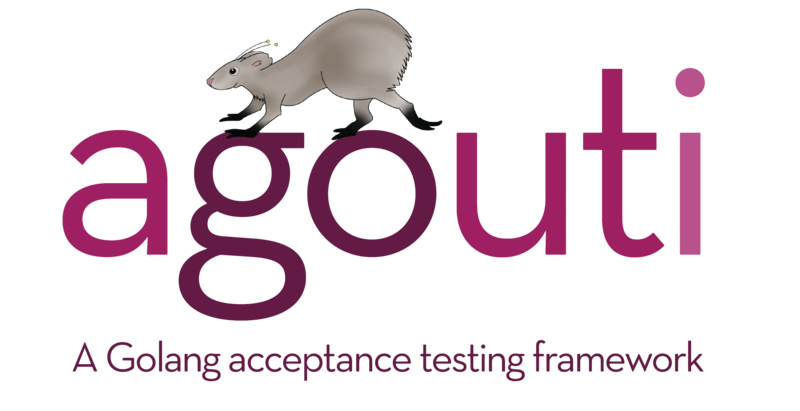 For acceptance or integration testing, Agouti is best used with Ginkgo and Gomega. We’ll start by setting up your Go package (named potato) to work with them. (For more information, check out the Ginkgo docs and Gomega docs). Update this file with your choice of WebDriver. For this example, we’ll use Selenium. Note that while this setup does not need to be in the potato_suite_test.go file, we strongly recommend that the *agouti.WebDriver be stopped in an AfterSuite block so that extra WebDriver processes will not remain running if Ginkgo is unceremoniously terminated. Ginkgo guarantees that the AfterSuite block will run before it exits. At this point you can run your suite without any tests. Now let’s start your application and tell Agouti to navigate to it. Agouti can test any service that runs in a web browser, but let’s assume that potato exports StartMyApp(port int), which starts your application on the provided port. We’ll tell Agouti to use Firefox for these tests. A new *agouti.Selection can be created from a *agouti.Page, an existing *agouti.Selection, or an existing *agouti.MultiSelection using the Find-, First-, and All- methods defined on either type. The *agouti.Selection methods support selecting and asserting on one or more elements by CSS selector, XPath, label, button text, and/or link text. A selection may combine any number of these selector types. The Agouti matchers (like HaveTitle and BeVisible) rely only on public *agouti.Page and *agouti.Selection methods (lke Title and Visible). As your test suite grows, it’s liable to get slow. Ginkgo makes it easy to parallelize your test suite by spreading different It blocks across multiple test processes, and Agouti supports this. We can make the above example support parallel tests by spinning up the app-server in the BeforeEach on a port unique to the Ginkgo node that is running the test: StartMyApp(3000+GinkgoParallelNode()). After adjusting the corresponding URLs in the It block, you can run the tests in parallel with ginkgo -p. For more on test parallelization see the Ginkgo docs on the topic. While using many It blocks that each create and destroy a *agouti.Page is an effective way to parallelize your tests, it can actually slow your test suite down if you don’t need this parallelization. Calling agoutiDriver.NewPage() and page.Destroy() in your BeforeSuite and AfterSuite blocks (or using a few large It blocks with many By blocks) can eliminate the overhead of creating a new WebDriver session for each test. 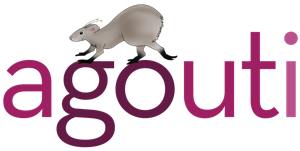 Agouti is fully documented using GoDoc. See agouti and matchers. The api package provides low-level access to the WebDriver. It currently does not have a fixed API, but this will change in the near future (with the addition of adequate documentation). More extensive documentation (with more examples!) coming soon. For easy Sauce Labs support, use SauceLabs. Note that this does not currently support Sauce Connect. If you would prefer to use Go’s built-in XUnit tests instead of Ginkgo, the agouti and matchers packages make this easy. See Gomega’s docs for more details. Note that using Agouti without Ginkgo will not allow you to run your specs in parallel. This is the most Go-like way of using Agouti for acceptance testing. The agouti package by itself does not depend on Ginkgo or Gomega. It can be used as a general-purpose WebDriver client. Here is a part of a login test that does not depend on Ginkgo or Gomega.